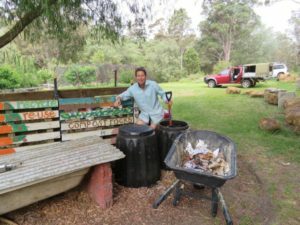 Peace With Waste has come to Denmark and Walpole in the form of green and other waste workshops. 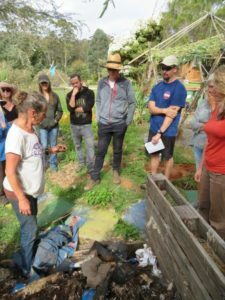 These Green Skills workshops are being delivered to three community groups and three schools in these towns by local organic garden expert Neal Collins. 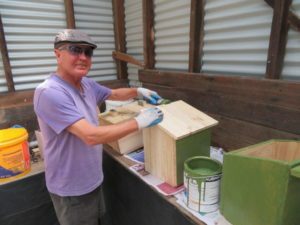 They form part of a Green Skills south coast program of activities relating to waste minimisation being funded by a Community grant from the Waste Authority. 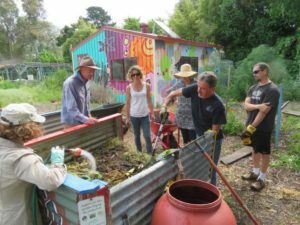 So far workshops have been held at the Mia Mia community garden on composting and green waste management, with the Denmark and Walpole Primary Schools and at the Golden Hill Steiner School. 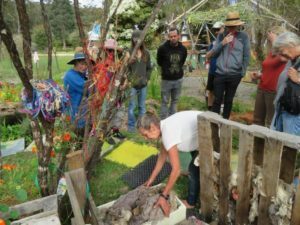 For the latter workshop, Christi McMullan, who has helped the Golden Hill School drastically reduce its waste stream to landfill. 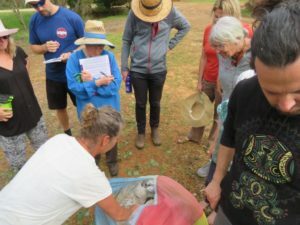 Over coming weeks, we are teaming up with wildlife ecologists and the Conservation Council of WA, and volunteers, to carry out monitoring of Quenda (Southern Brown Bandicoots) and Phascogales and other fauna, centred on Balijup, and other properties adjacent to the Stirling Range National Park. 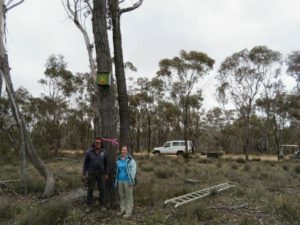 Volunteers are also needed to help install and monitor Phascogale nesting boxes on bush properties near the Stirling Range National Park, as help with fauna monitoring at Balijup. 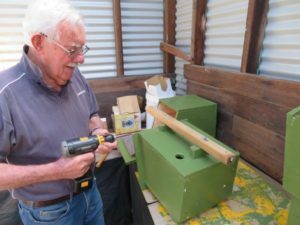 Participants will work with wildlife ecologists from the Conservation Council of WA, wildlife biologist Joe Porter, Basil Schur and of Green Skills and others on a range of citizen science monitoring activities at and near Balijup farm including bandicoot re-trapping, phascogale monitoring, bird and bushland surveying. View of inside of Phascogale Nesting box showing Alpaca wool kindly donated by Pentland Alpaca Stud in Denmark. The Salt Lakes around Cranbrook, north of the iconic Stirling Range National Park, are one of WA’s hidden treasures. 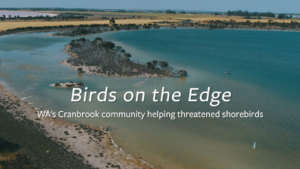 This 7minute You Tube film shows how the Cranbrook community and landholders are taking action to conserve these lakes, for the benefit of their prolific birdlife. 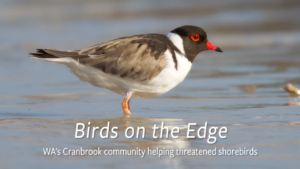 Farmers, working with community groups The Gillamii Centre and Green Skills, are fencing and rehabilitating the foreshores of their Salt Lakes, helping threatened shorebirds such as the Hooded Plover. 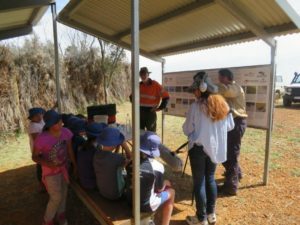 The Cranbrook Primary School is also playing its part in helping building greater knowledge and support for these precious wetlands. Special thanks in helping produce this film goes to Sandy Hope, Tony Peterson, John Chandler, the Lehmann Family, Geraldine and Steve Janicke, Graham Jones, Cameron Williamson, Anne Bondin, Brad Kneebone, Marcus Singor, Graeme Bradshaw, Rhonda Carnegie, Karina Bateman, Wendy Bradshaw, and staff, parents and students of the Cranbrook Primary School. The Gondwana Wetlands North Stirling Lakes project has been supported by the following organisations: Green Skills, The Gillamii Centre, The Koorabup Trust, Birdlife Australia, Gondwana Link Ltd, Greening Australia, The WA Government’s Natural Resource Management Program, South Coast NRM and the Australia’s Government’s National Landcare Program, Steve and Geraldine Janicke, and the International Living Lakes Network. Wolyie Diggings on the trail at Perup – Digging mammals are nature’s engineers.. 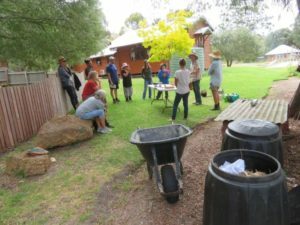 Between 9 and 11 November I joined in an event organised by GreenTeach, an environmental education group based in Bunbury – for a delightful weekend at Perup- Nature’s Guest House. 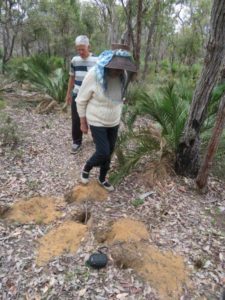 https\://www.perupnaturesguesthouse.com.au/ Surrounded by the 56,000 hectare Tone-Perup Nature Reserve south of Boyup Brook., Perup: is a great place to see our native fauna. 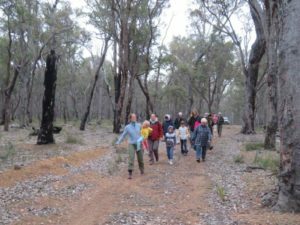 On behalf of Green Skills I led a dusk walk for a group of about 25 people ranging from 10 to 80 in age. 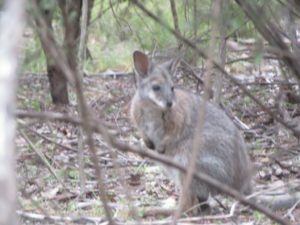 During the two days we were able to spot a range of species including Quenda, possums and the threatened Tammar wallaby. A highlight of the weekend for me was seeing how Perup Nature’s Guesthouse works as a community enterprise run by the Blackwood Basin Group. 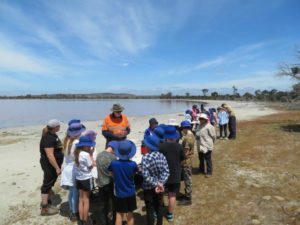 On Thursday 25th October 2018, Green Skills and Gillamii Centre held a wetland citizen Science day on three special salt lakes near Cranbrook. 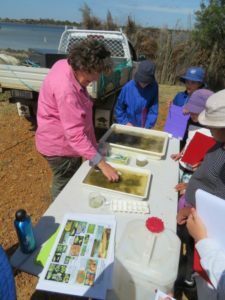 Geraldine and Steve Janicke, aquatic ecologists, carried out water and invertebrate fauna monitoring of the lakes with the keen interests of a class from Cranbrook School. Three lakes in the North Stirlings region were visited during the day; Tom South Lake which was recently fenced through State NRM and Federal landcare funding, as part of measures to protect the threatened Hooded Plover species, and Bob’s Lake with its popular bird-hide and prolific aquatic and bird life. 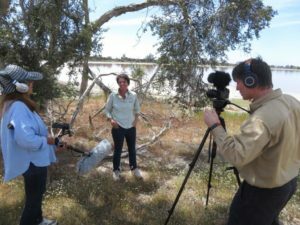 Craig Carter of Earthrise Productions, filmed the days events for the next documentary in the Gondwana Wetland series on the Green Skills YouTube channel. Stay tuned for when that film comes out ! Green Skills’ volunteer Tony Peterson carried out a bird survey, finding many Red necked Avocet and Australian Shelduck using Tom South at the moment. 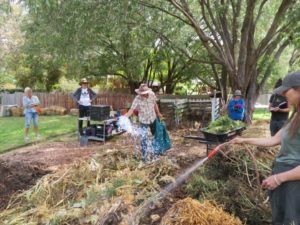 Karina Bateman, of the Gillamii Centre and local farmers Cameron Willamson and Sam Lehmann, also were interviewed during the day. John Chandler brought out his drone and managed to get some aerial footage of the lakes despite the windy conditions. 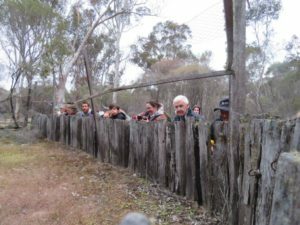 The event was supported by the Koorabup Trust, the Lehmann Family, and the Gillamii Centre.